Secure your Front Range business with a card access system installation. 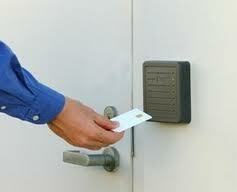 Card access systems help protect you control who has access to your facility. Choose when your employees will be allowed access your doors and track who is entering your building.